Enjoy music in Smily Village ! Smily Village has many kinds of classes of instruments and genres. You can find a perfect class and enjoy the music. This class has a Smily Village’s original music program. It helps them have a good ear and cultivate sensitivity. Smily Village has many kinds of instruments classes. You can choose a favorite instruments. 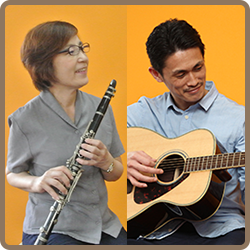 We have variety classes such as accordions, guitars, saxophones etc. This class has group session times. Students can have joy of playing through sessions with other students. 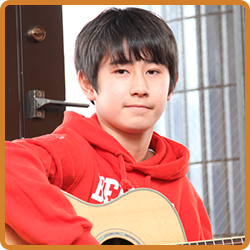 How about starting an instrument lesson you’ve always wanted to play? How about having a session with an instrument which you used to play? Make it happen in Smily Village!